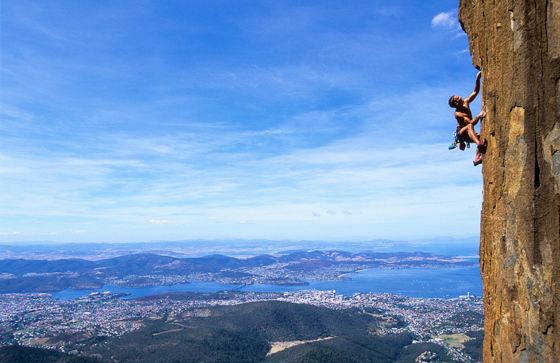 Andy Kuylaars, Once in a Lifetime (26), on Battlements Column, Mt Wellington. Buy print. Busy times, lots to catch up on. 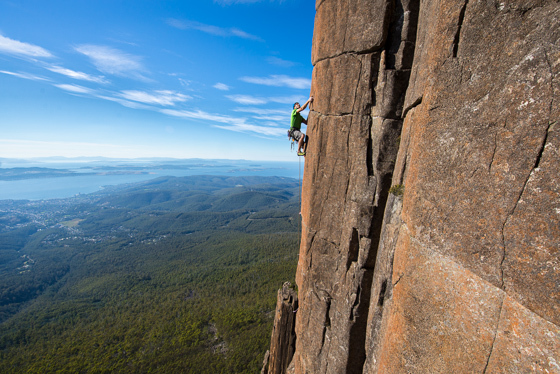 I’ll show some of my recent new images next time, but for this newsletter I thought I’d present some of my older images of the spectacular Mt Wellington (kunanyi), which is a great rock climbing area, perched high above Hobart. Consider this a #throwback. Why? Well, the mountain needs our help. If you have ever climbed on Wellington’s dolorite columns, or have even just bothered to drive the 20 minutes to the summit to take in the stunning views of Hobart and surrounds, you might, like me, be saddened to learn that the Mount Wellington Cable Car Company and the Tasmanian government want to do something which will destroy the ambiance of this place forever. Mt Wellington — nor Tasmania’s tourist industry — does not need a cable car. I included chapters on Mt Wellington in my coffee-table books for good reason. Imagine these photos with an ugly cable car in the background! You can kiss this climbing area’s probable “world-class” status goodby if this development goes ahead. In this day and age, there is no excuse for such desecration. Carlton and United Breweries own the land that the developers wish to use for the cable car base station, so one way of stopping this short-sighted development could be to encourage Carlton and United Breweries not to sell off their land for this use. Please help and sign the petition for this here. For more info you can follow the Respect the Mountain group on Facebook here. 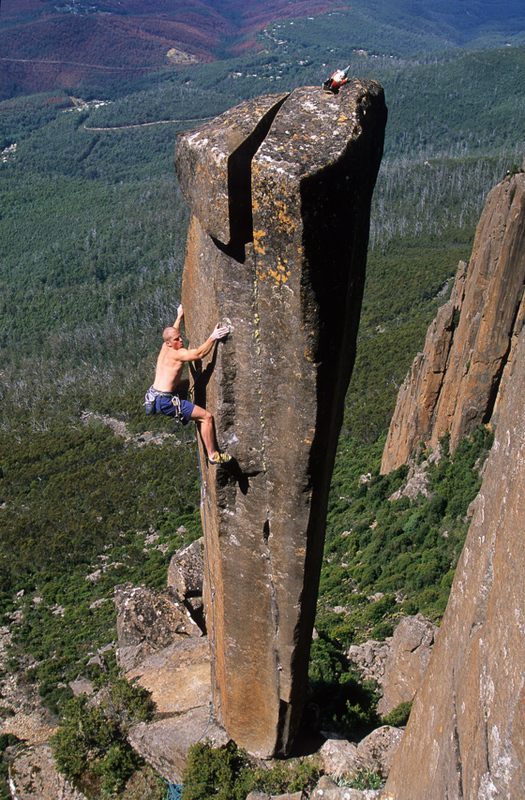 Speaking of Tasmania… Climber Paul Pritchard suffered a horrific accident on the Totem Pole over 20 years ago. 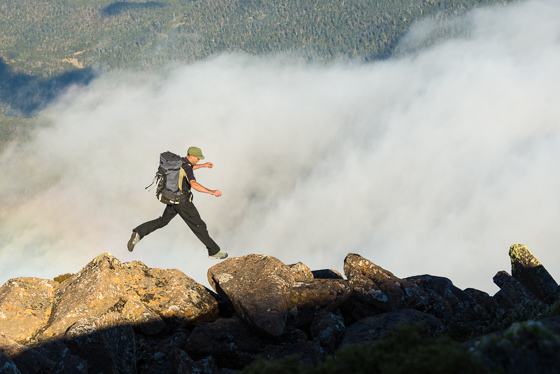 The accident could have killed him and certainly changed the course of his life forever. I visited him in hospital a few days after the accident; he was unable to speak or move. It’s incredible to see what he has gone on to achieve since then. His subsequent book, The Totem Pole, won several literary awards but unfortunately has been out of print for many years now. You can help Paul reprint the book and effectively pre-order copies for yourself by backing his crowdfunding campaign here. It even has one of my shots on the cover! Good luck Paul. I’m proud of my wife Monique Forestier, not simply because of her most impressive climbing achievements but also for all she has been doing in recent years to put something back into the sport — by sharing her passion and knowledge with the next generation of psyched crushers! 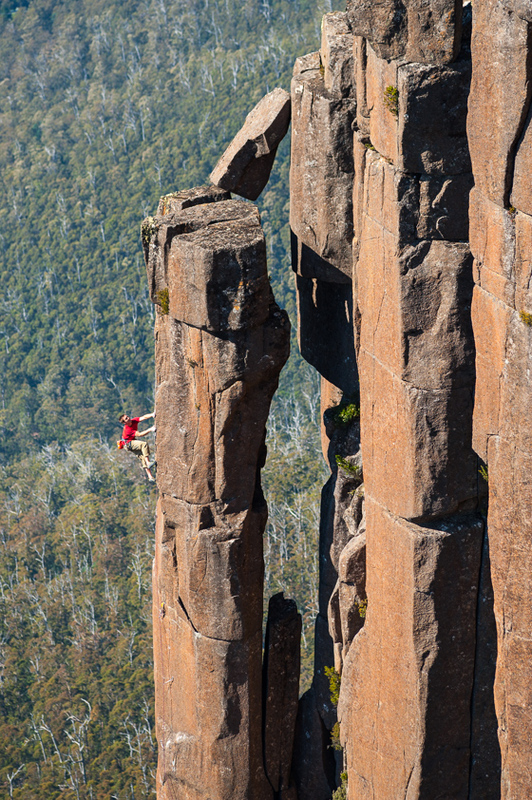 She has recently been appointed the volunteer role of NSW state coach for Sport Climbing Australia. Her indoor coaching business has also been going ballistic. 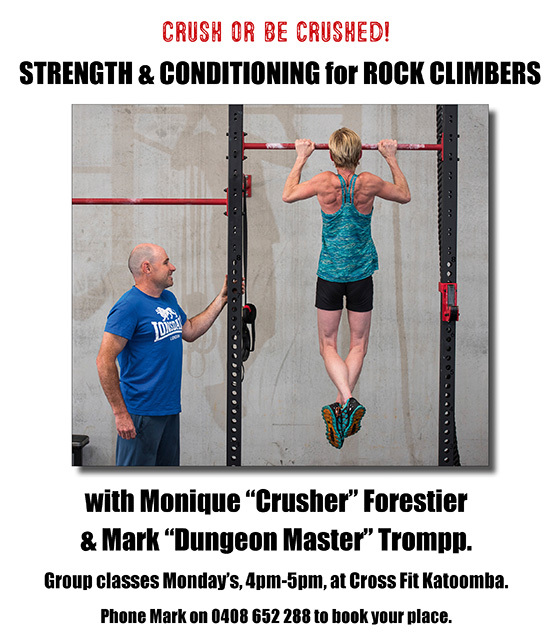 And we have recently formed a new business, Climbing Australia, which has the necessary licenses and insurances so that Monique can do outdoor coaching now as well — and that has also been keeping her busy. She still has a few outdoor coaching sessions available over Easter long weekend, so if you’re interested contact her here. And finally, personally, I’m delighted and honored to have recently been selected as an Ambassador for Photo Toolbox. This is a New Zealand company that is developing some important software for photographers — including LicencePro, which is great way for photographers to track and manage the photography usage rights that they sell to clients. If only I had had this software years ago… (Oh the stories I could tell)! Thanks to Photo Toolbox — and Derek Morrison who is the brilliant NZ photographer behind it all. Check them out! Speaking of sponsors, my thanks to Sterling Rope, La Sportiva and Prana for their awesome ongoing support. I am so very grateful to these fantastic brands. Andy Kuylaars, Once in a Lifetime (26), Battlements Column. Buy print. 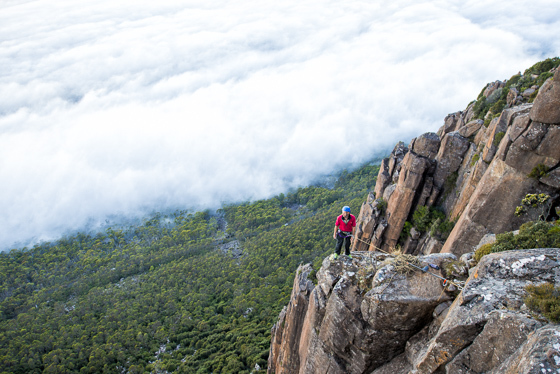 Andy Kuylaars atop Mt Wellington. Buy print. Jake Bresnehan on his Freedom (30). Buy print. Sam Edwards, Pleasant Screams (26), Flange Buttress. Buy print. 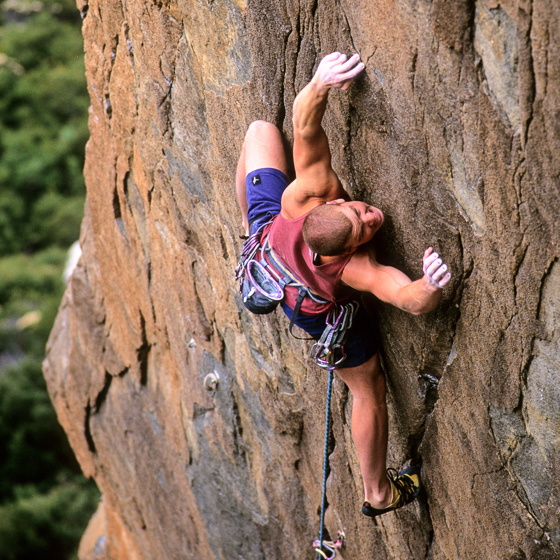 Steve Monks, After Midnight (23), on Flange Buttress. Buy print. 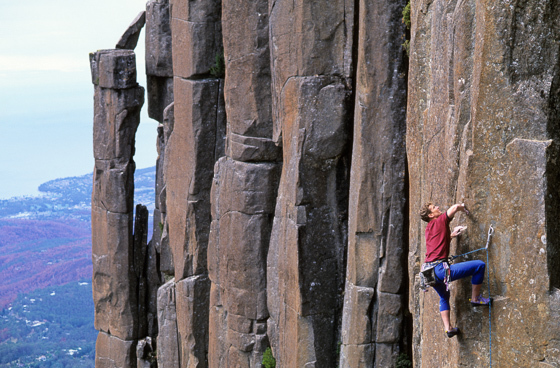 Roger Parkyn on his two pitch In Flagrante Delicto (24), The Amphitheatre. Buy print. Sam Edwards, Slap Dancer (27), The Tomb. Buy print. 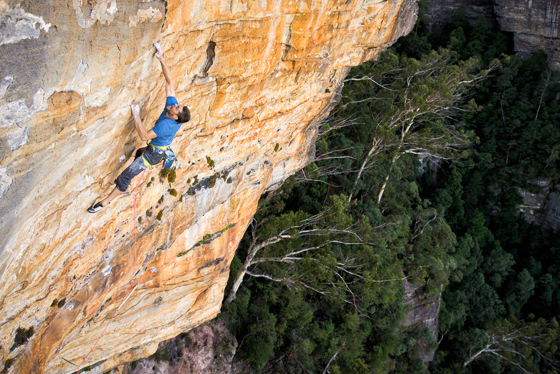 And some climbing news… Last Thursday Tom O’Halloran completed his Milkbar project at Elphinstone, in the Blue Mountains. I took this shot a few years ago when he first started trying the route. 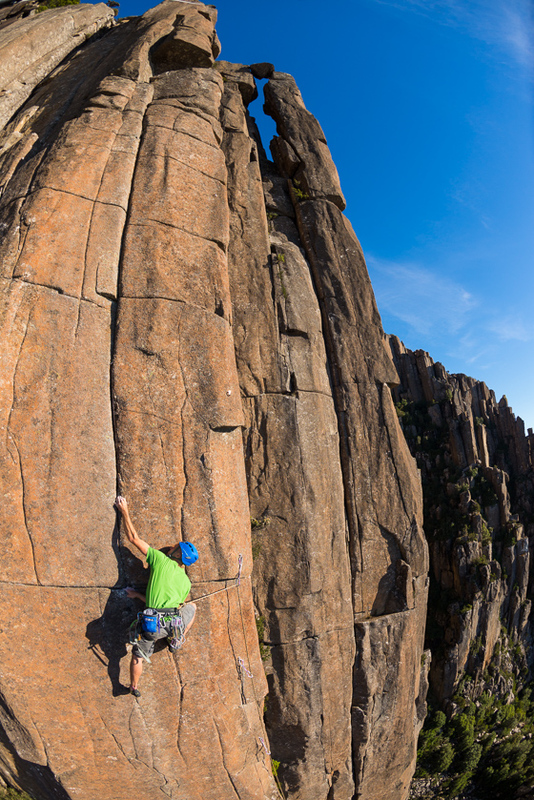 Later he climbed the route to the roof at grade 33, then on Thursday he completed the entire route — continuing through the final roof with a massive horizontal dyno — at grade 34. Buy print.